Yet again we are blessed with another classic release from the masters of the vaping universe, IJOY. This time they have most definitely gone that extra several mile’s to bring to the table an innovative product that gives you seemingly endless options and combinations of use. We present the IJOY Combo RDTA, this is an absolutely brilliant idea brought to life and moulded into something extra special for all of us who are fans of every vaping method. We could literally write an essay on this gem but we’ll keep it short and sweet, giving you the best bits. The IJOY Combo comes complete with two different build decks and a sub ohm coil to give you three options right out of the box. The gold plated decks are based on familiar styled decks we know and love, such as a Goon style deck included in this, that’s an absolute pleasure to build on with robust Philips head grub screws to name just one. It also has the bonus of being easily assembled into a Sub Ohm Tank with a chunky dual horizontal 0.3 ohm coil that gives you the ability of being able to drop a few drips of E Liquid on enabling you to start vaping almost immediately by not having to wait for the juice to soak in, as is the case with other Sub Ohm Stock coils on many tanks and of course the 6.5ml reservoir effortlessly keeps the coils fed at all times with not a hint of a dry hit in sight! 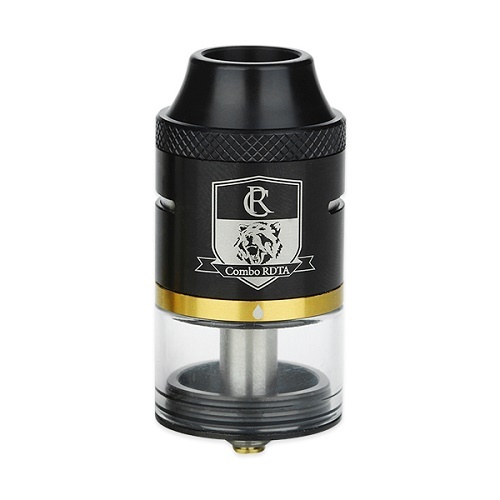 The IJOY Combo RDTA is a 25mm tank with a generously sized side filling juice port, 53mm in height with 20.5mm building deck space to house your favourite builds . IJOY have done us proud and brought affordable diversity to everyone and before we round up, we can also tell you that it can even be made into an RDA with a base (not inc) to add to your collection plus 7 alternative build deck options, (not inc), in total. It really is a dream come true, you definitely wont get bored for a very long time, if ever. 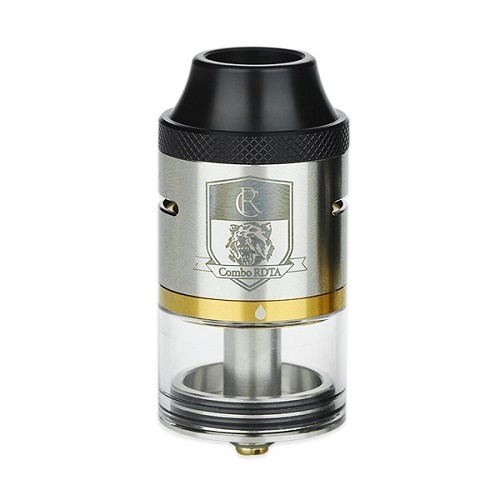 With that being said we can also happily state that the flavour and clouds, whatever the set-up, will truly impress you right from the get go, rich sumptuous dense clouds of vape delight will arouse your taste buds when using this tank. Most definitely an all round winner you will love!